- Visual : Bright yellow. - Olfactory : Fine mineral and floral notes, vivacity of citrus aromas. - Gustatory: Density, freshness and richness in harmony. 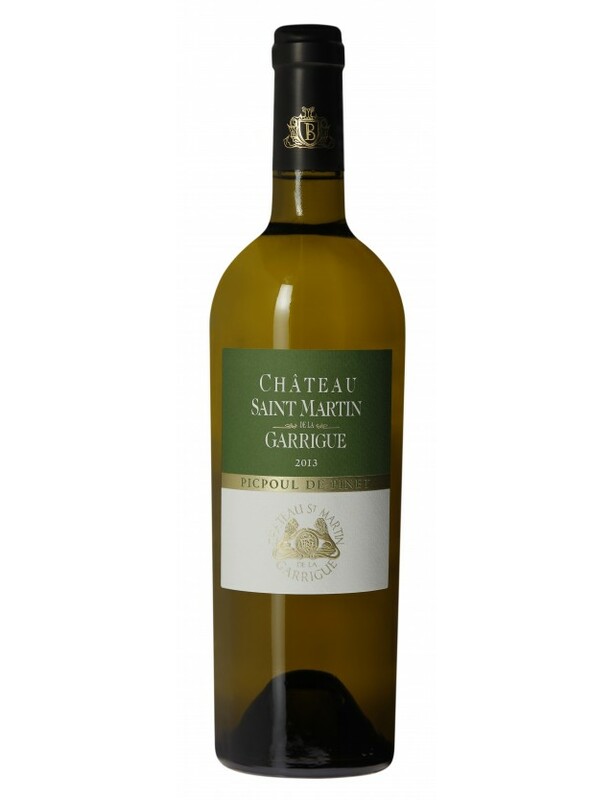 Located between Béziers and Montpellier, near the Mediterranean Sea, the Château Saint-Martin-de-la-Garrigue extends over 63 hectares of vineyards, surrounded by 110 ha of pine forests, scrubland and olive groves.The vineyard is spread over around forty plots, planted on east-facing slopes. This position gives the vines their important exposure to the sun, and also to a humid climate, thanks to the sea breezes. The summer heat is also tempered by the location of the estate at slight altitude.The vines grow on two types of soil: red sand-gravel on sandstone and brown limestone on soft limestone. The harvest starts in September and generally finishes in mid-October.Rich in history and memories, the estate is spread out around a 9th century Romanesque chapel and a Renaissance château, mainly built in 1557, which has been transformed and renovated over the centuries.Château Saint-Martin-de-la-Garrigue is a harmonious unity between nature's exuberance and human work. Each generation of wine-makers has left its mark.Rich and varied, the estate's range presents wines from 18 varieties (10 red and 8 whites). The whole estate uses sustainable and integrated vine growing methods, certified by Terra Vitis. The wine-making process is based around traditional methods, but with cutting-edge tools. On average, the estate produces 300,000 bottles per year, sold in France and all over the world.